Contour, contour, contour! Everyone sounds like Jan on an episode of The Brady Bunch (if you have no idea what I’m talking about check out Jan and Marcia on youtube). Contouring has been around for decades but after Kim Kardashian started rocking the chiseled look on the red carpet, society has deemed her the contouring queen. Contouring is all about creating shading. It makes the face appear slimmer, while highlighting brings out parts of the face that the sun would naturally touch. Side note, please make sure that your significant others understand that Kim K doesn’t naturally look like that. My best male friend and roommate was under the impression that she just “wakes up like that” (insert eye roll here). Anyway, if you want to jump on the bandwagon and learn how to do a full, glamorous contour keep reading. If you just want to learn how to do an everyday type of contour, skip to the bottom of this post. After you have applied your liquid foundation–remember this is the full, glamorous look so you’ll want liquid not powder–use your favorite contour cream. I like the LA Girl Pro Concealer in the color Almond. It’s very cheap and comes in a variety of shades. I also like the NYX Wonder Stick for both highlighting and contouring. The shade you use should be at least two shades darker than your natural skin tone. Create a line under your cheekbone/hollows of the face (feel it with your fingers after making the “duck face” and scrunch your lips to the side) starting by the top of your ear and toward the corner of your mouth. Do not draw the line all the way to your lips as this will create an unnatural look. 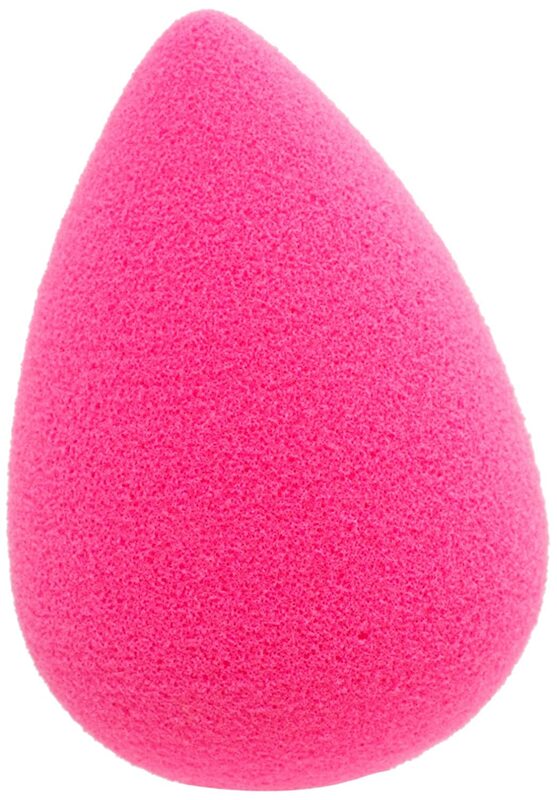 Blend the line in with either a damp beauty blender or a contour brush. You don’t want the line to look harsh so blend it in as much as possible while staying within that area. If you would like to define the jawline and/or reduce the look of a double chin, draw a line with the contour cream on the actual jawline. Blend out in the same manner that you did with the cheeks, but this time blend it downward. You do not want an obvious, artificial line separating the face and neck so blend them together. If you are unhappy with the shape of your nose, contouring can help. The nose can be the most difficult thing to contour, so if you are trying this out for the first time I would practice a couple times before you “wear” your new look in public. Draw a line with the cream down both sides of the bridge of the nose and make a semicircle on the tip to connect both sides. Leave the center of the bridge of the nose for highlighting. With a very narrow brush, blend the lines by going up and down very carefully. Try not to let the color run down the sides of the nose. Since contouring acts as a hiding agent, you don’t want to hide the entire sides of your nose as that would look quite strange to the average person, especially from the side. To complete the look, contour the temples. Blend it all the way to the hairline to keep it looking natural. If you have a larger forehead, draw a line along the hairline of the forehead and blend. This makes the forehead appear smaller, so if you already have a small forehead skip this step. Now that you have finished the cream contour, you can set it with powder or bronzer. Again, the powder should be about 2 shades darker than your natural skin tone and SHOULD NOT be shimmery! Any shimmer in the contour zones will add light to that area, which is the opposite of what you are trying to do. Do everything that you did with the cream but now with powder. If the contour appears muddy, you have chosen the wrong powder color. Remember, BLEND BLEND BLEND! 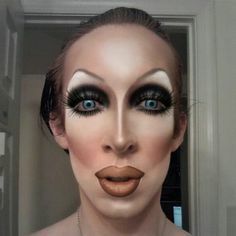 No harsh lines should be anywhere on your face unless you’re going for the drag look. To do the easier, more natural contour, you’ll just use powder instead of the whole cream routine. Good contouring powders that I recommend are the Anastasia Beverly Hills contour kit and the Smashbox contour kit. Follow all the steps for the all-out contour (above) but with just the powder. Leave out whichever steps you feel are unnecessary. Typically, the most important area to contour is the hollow of the cheek. If you take anything away from this, just remember to blend! I hawve read so many content on the topic off the blogger lovers except thijs paragraph is actually a pleasant post, keep it up. Hello every one, here every person is sharing such familiarity, therefore it’s nice to read this web site, and I used to visit this web site daily.